When you bring a new baby into your family, it is a time of emotion and pure love. It is a time that should be documented! We have photographed a lot of newborn babies over the past 6 years and have learned that every baby is unique. Each baby has a different temperament and personality. With each session, we aim to document a mix of genuinely candid moments as well as delicately posed images. We pay close attention to the differences and details of each baby to create beautiful portraits for your family. 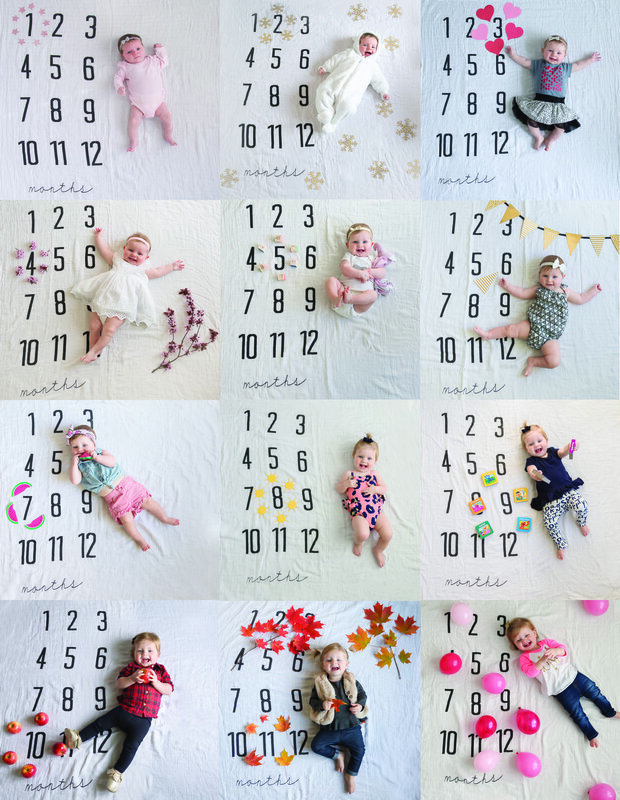 Here are a few of Danielle's favorite newborn poses! Chin on Hands: I love this pose! If I had to pick just one image to capture during each session, this would be it. I love how this pose allows you to see all the features of baby's face. Not to mention, those adorable cheeks! 2. Awake baby: While I absolutely love photographing a sleeping baby, I equally enjoy capturing a newborn who is wide awake. Sometimes it is difficult because newborn babies eyes do not focus yet. Their eyes tend to cross or look in different directions. When I capture a newborn awake making eye contact with me, I can always see a tiny glimpse into their future personality. 3. Baby on Belly: This is another favorite that I try to capture at every session. There is something so innocent and pure about a baby all curled up sleeping on their belly. 4. On Back with Blanket: I usually follow the lead of baby when they are on their back covered with a blanket. Some babies like their hands up by their face, some like them down, or some prefer one hand up and one down! As long as they are comfortable and cozy, I let them fall into a natural place of comfort. This is usually a time when I can capture a big yawn or a stretch! Danielle enjoys spending time with each of her newborn photography clients and forming lasting relationships. She looks forward to transforming this special time into portraits to be treasured for years to come. If you are expecting a baby soon, have a professional newborn photographer photograph your baby. There is nothing more beautiful and sweet than newborns. To see more of Danielle’s newborn photography images, please visit the Gallery or the Facebook page. Contact the studio to schedule your session or receive more information. We look forward to meeting you!